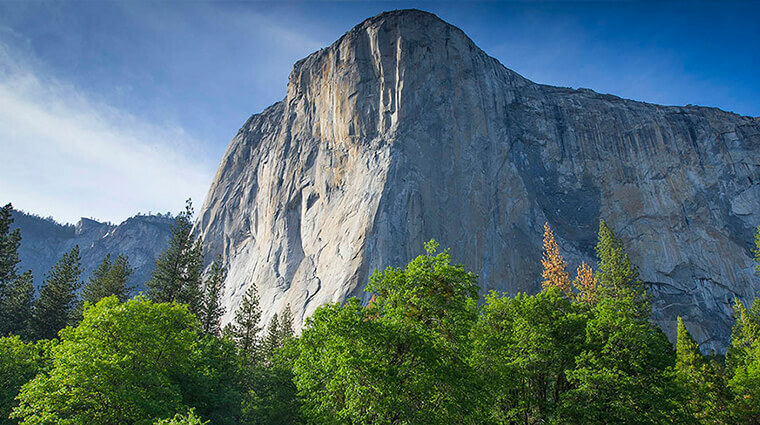 El Capitan is 3,000 vertical feet of sheer rock granite, El Capitan is a beacon for visitors, a muse for photographers and one of the world’s ultimate challenges for climbers – Best time to see it? Any day of the year. Best view? Inspiration Point by foot. Tunnel View or from El Capitan Meadow by car. Most knock-your-socks-off, one-of-a-kind El Capitan moment? During the last two weeks of February when conditions align perfectly and the setting sun turns the waters of Horsetail Fall into a dancing fire of light: Firefall. Another great view is from El Capitan Meadow. The view from this beautiful meadow is view straight up El Capitan and also provides a great view of Cathedral Rocks. Located along one-way Northside Drive, plan to stop here on your way out of Yosemite Valley. Take a virtual visit to El Capitan Meadow. 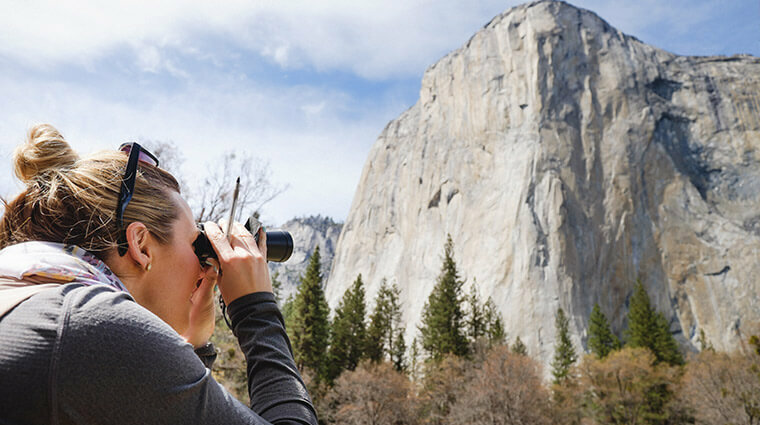 The best viewing of El Capitan is either from Tunnel View, off State Highway 41 or from El Capitan Meadow, located off Northside Drive just past Yosemite Valley Lodge.